You save 38% that's £170.00! Width 67cm, Height 199cm, Depth 40cm. Our specialists are ready to help! 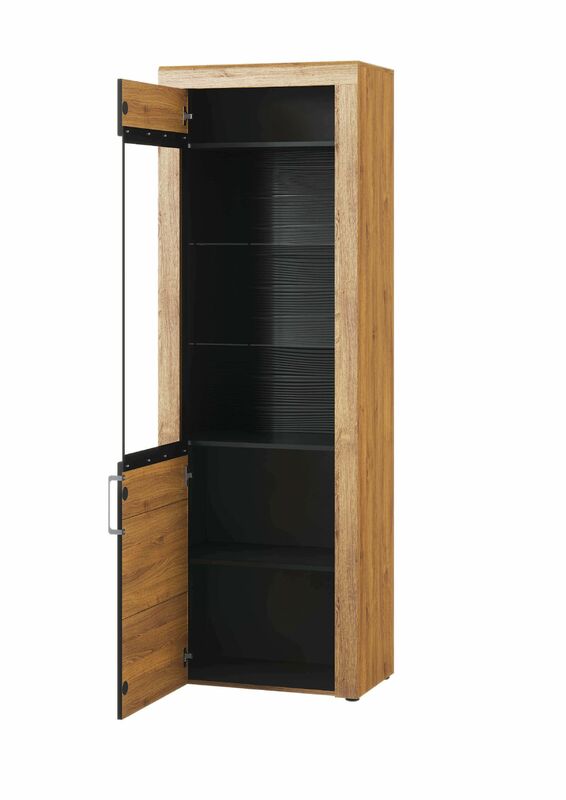 Tall display cabinet in a Camargue Oak effect with black low profile metal handles and trims. 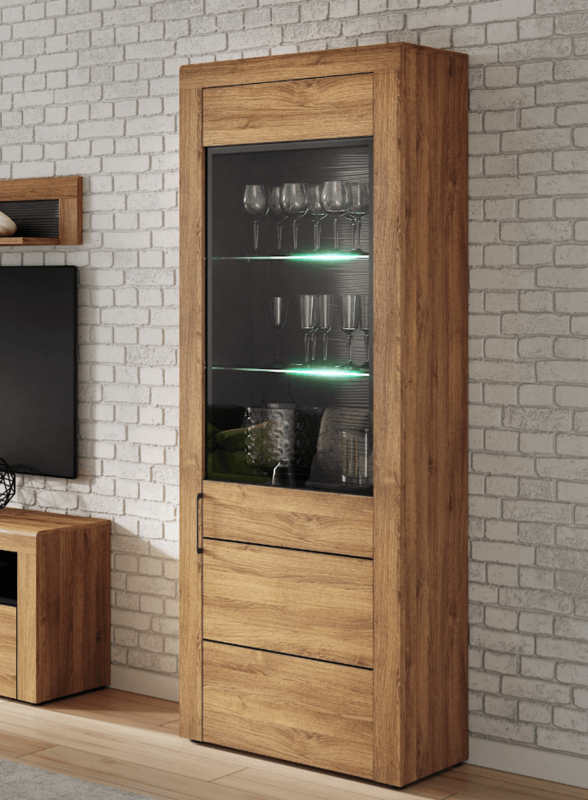 Designed to be an item that is functional as well as ultra modern featuring clean lines contemporary design and LED lights. 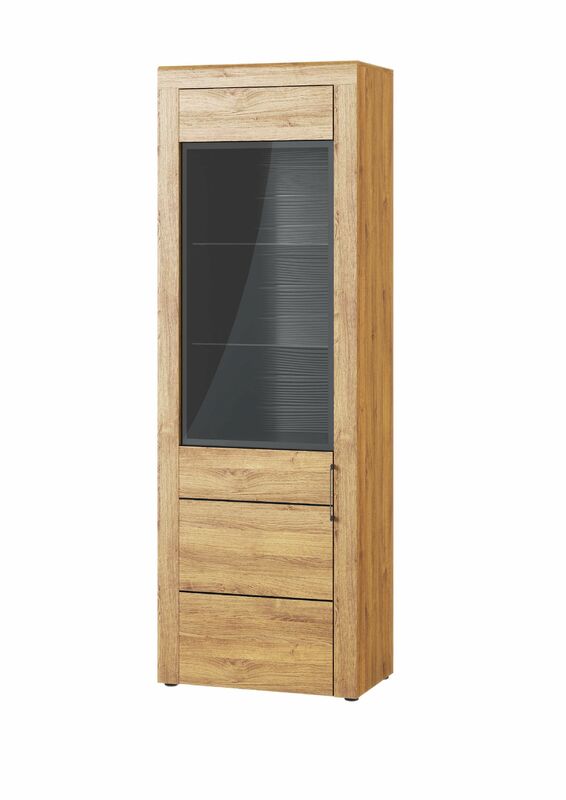 The curved corners add to the universal appeal of this tall oak effect display unit. 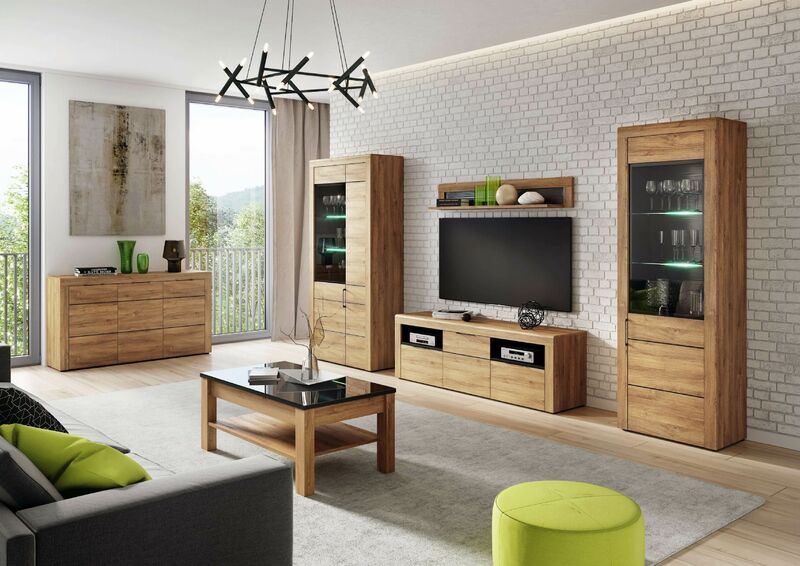 Camargue oak is a warm oak effect featuring many tones and shades with 3D wood grain effect which makes this an easy match with most interior decor themes. 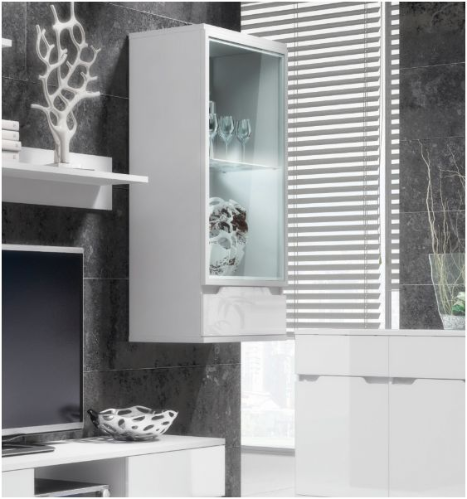 Features 1 doors which give access to 1 display section and enclosed section. The internal shelves are included. AB, CA, DD, DG, EH, FK, G, IV, KA, KW, KY, LD, LL, ML, PA, PH, PL, SA SY TD, TR, TQ.